Deputy Prime Minister Barnaby Joyce has announced a $50 million Export and Regional Wine Support Package. The three-year package will consist of four programs that will each aim to showcase Australia’s wine tourism whilst simultaneously driving demand for Australian wine exports. Australian Vignerons, the Winemakers’ Federation of Australia and Wine Australia have worked in consultation with Australian grape and wine sector to develop a business plan for the package. Wine Australia Chair, Brian Walsh, said a 9-person marketing advisory group has been created to help launch the first program under the support package. Walsh said approval has already been received to commence marketing activity this year including activities at Australian Wine Week in San Fransico and New York. 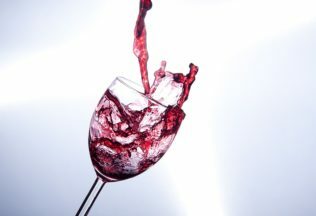 “Wine Australia will be spending the next few months developing materials for the capability and capacity building portions of Program 2, with a view to delivering the first workshops, forums and online tools early next year,” Walsh said. Consultation with industry on the draft guidelines for the grants schemes under Programs 2 and 3 is expected to start soon. Program 1: Will accelerate growth in international demand through dedicated, multi-year marketing campaigns in the United States and China, representing a more than eight-fold increase on current investment in these markets. Program 2: Will create export-ready businesses by building the capability and capacity of grape and wine businesses to capture export and tourism opportunities. This will include a wine exports grants scheme for current and new exporters to China and the United States. Program 3: Will capture growth in wine regions by offering state-based and competitive grants to develop exciting wine tourism experiences and attract international tourists. Program 4 Will transform cider businesses by building knowledge of potential export markets and developing improved understanding for accessing these markets.